What Is Data Entry Jobs ? good typing speed for it ! ya i am right just good or you can say average typing speed. Data entry is the act of transcribing some form of information into another medium, usually through input into a computer program. Forms of data that people might transcribe handwritten documents, information off spreadsheets and sequences of numbers ans well as computer code and even names and addresses. What You Will Need For It ? You will have to be a good typist for it; this is the major require- -ment of this job. 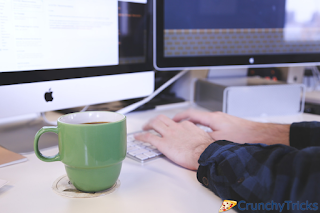 Especially those who are excellent at 10-key typing are often qualified for data entry jobs. 10-key typing uses the 0-9 keys often found on the right side of a computer. You will need average data entry KPH speed for it. KPH stands for Keystrokes Per Hour. If you have an average speed of 40-50 words per minute (WPM) then it's a advantage for you. You can earn a decent money through it. The more WPM more chances of earning money. Here i am going to show you a rough estimate of WPM and KPH that you will need for qualifying. So if you are having an average KPH speed of 12000 then you will be able to get qualify and will be able to earn a decent amount. 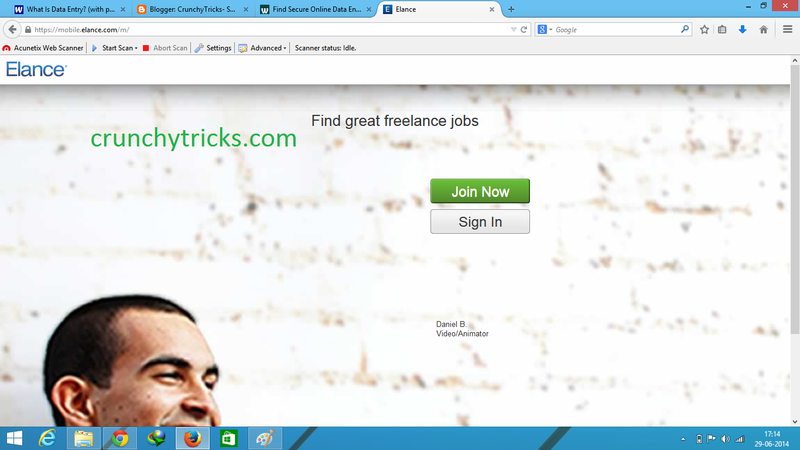 Here i am going to show you the best sites to find data entry jobs. One of the best site to find data entry jobs online. It's a micro job site where you can offer your data entry work for as low as $5. You can set $5 as a minimal charge for doing basic work and will be able to charge more as your level increases. It is always advised to set your price as low as you can at starting. You can find some good idea from the available sales pages to design your new sale page. 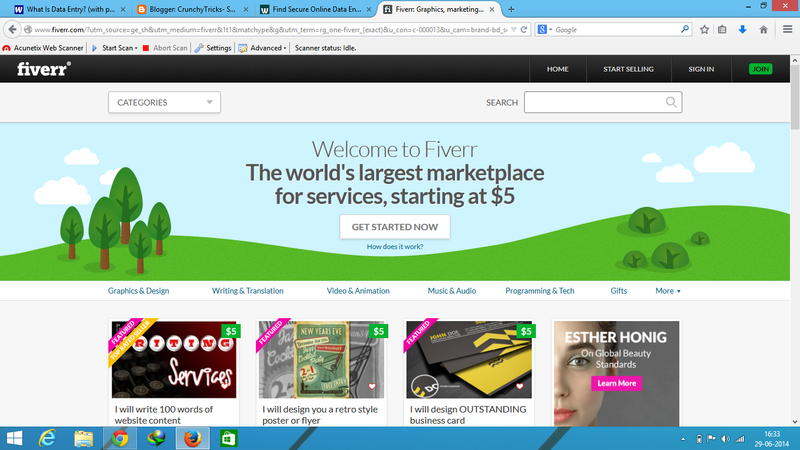 Just go to Fiverr. 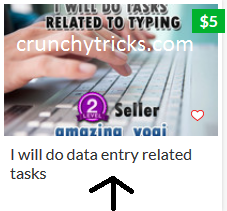 And search there for data entry and check out you will find a huge list of sales page who are saying "I will do data entry " with a minimum price of $5. Just take help from them to create your profile for the first time. You will be paid when you will complete the order placed by the client. It is one of the globally recognized job place for freelancers. To work for data entry jobs, you will have to create complete profile with you skills listed in it and also don't forget to set your minimal payout as low as you can for the first time. Just click on "Post A JOB!" and start working withe them. 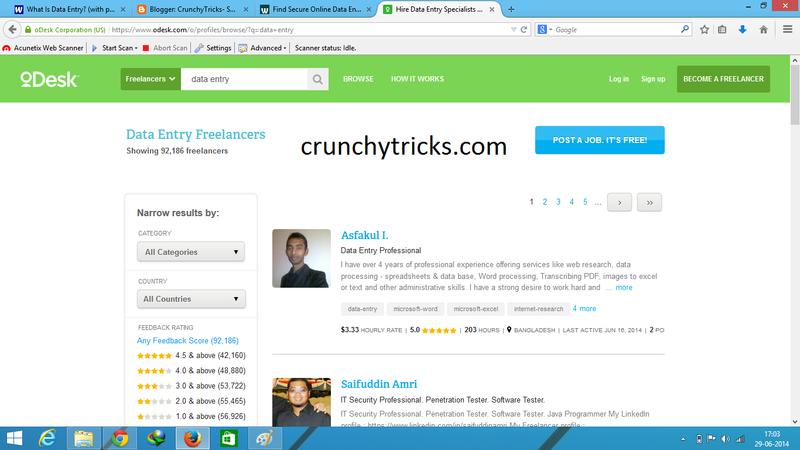 You can also search for some data entry jobs to get a rough idea of how to design your page. Just search "data entry". You will find a list of people offering their data entry with details. 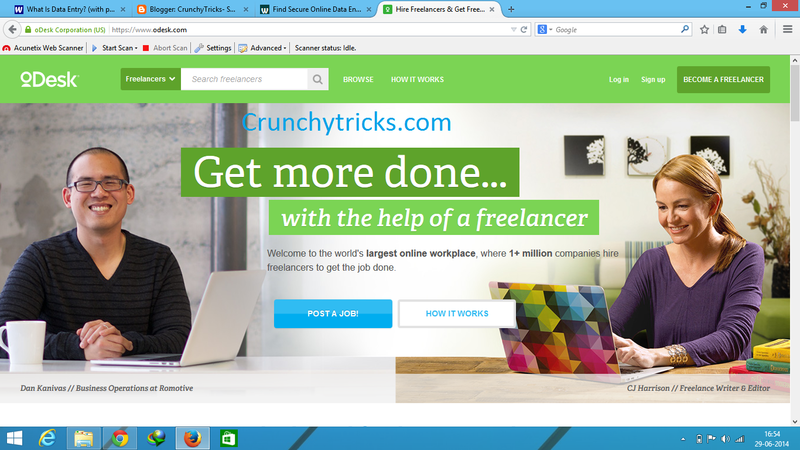 It is also similar to oDesk where you can create your profile and can work as a freelancer. go through the pre-made profiles of users to create a good looking profile and also set a minimum price for first time. Just go through these websites to start your earning through data entry jobs. Note: - Remember there are too many freelancer available now a days, so it is advised that work at a cheaper to grab some orders. Just give high quality work for sometime and after that you can increase you price.